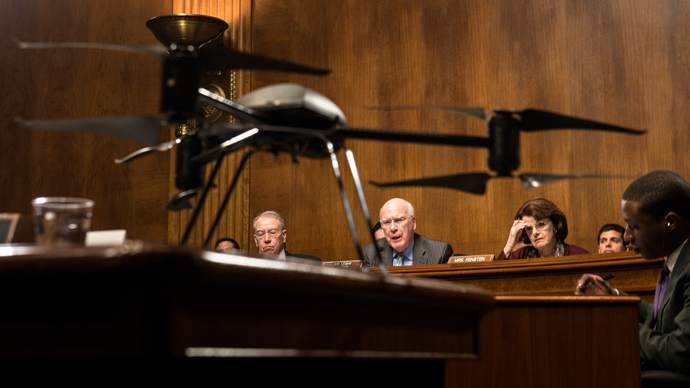 Advocates and opponents of unmanned aerial vehicles sounded off in Washington Wednesday morning during a Senate Judiciary Committee hearing on the use of surveillance drones by law enforcement agencies and their effect on privacy. The US Federal Aviation Administration expects that anywhere from 10,000 to 30,000 drones will be traversing American airspace in just a few years’ time, but little rules if any have been formally adopted as of yet to impose restrictions on what exactly UAVs are able to do. A handful of local law enforcement agencies already rely on drones in certain situations, and federal entities like the Department of Homeland Security have an arsenal of surveillance drones of their own. 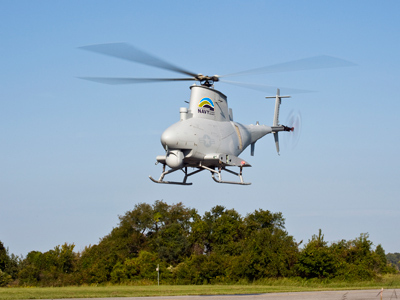 Speaking before the Senate at the dawn of the drone age, members of law enforcement and privacy advocates alike spoke openly on Wednesday to discuss with lawmakers what the future holds for the controversial unmanned aircraft. 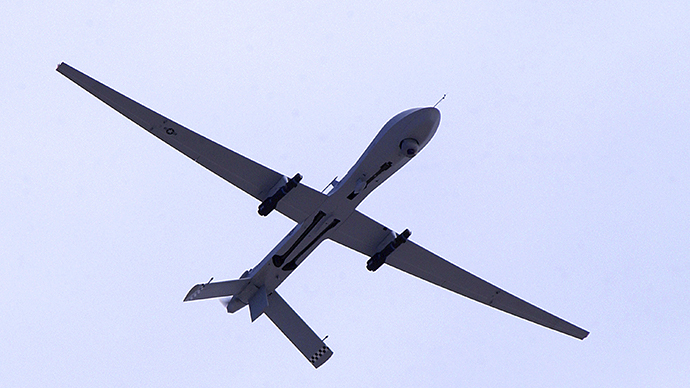 Sen. Patrick Leahy (D-Vermont) got the hearing underway just after 10:30 a.m. by admitting that, while Wednesday’s hearing would only involve the use of domestic surveillance drones, he was very concerned about the increasing use of weaponized UAVs abroad being used for counterterrorism measures. “Just because the government may comply with the Constitution does not mean that they be able to constantly surveill like Big Brother,” he said. Sen. Grassley also paraphrased former-Attorney General Robert Jackson to explain just how dangerous the use of drones to be if they do soon engage in blanketing dragnet surveillance like critics fear. To demonstrate the positive aspects of using drones for domestic surveillance, Benjamin Miller of the Mesa County, Colorado Sheriff’s Department’s Unmanned Aircraft Program explained the benefits his agency has already encountered four years after they launched their first UAV. Although the abilities of the Mesa County Sheriff’s Office is limited to just 65 deputies serving an area of roughly 175,000 citizens, Miller said the agency has already clocked in around 185 drone flight hours over the course of roughly 40 UAV missions. 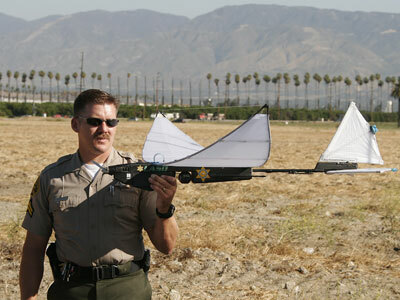 In lieu of using expensive manned aircraft for search-and-rescue missions, Mr. Miller said, the Sheriff’s Office has relied on small UAVs to conduct surveillance at a cost of only $25 an hour. “It actually costs just one cent to charge the battery that we use inside of our system,” he said, a major difference compared to the $10,000 the agency spends annually on a single manned surveillance mission. But while the cost of UAVs is making them an affordable alternative to manned aircraft, others warned that that could very well be all the reason to worry. “Folks are very worried about the privacy ramifications of drones, and those concerns are well founded,” University of Washington School of Law Professor Ryan Calo told the committee. Because drones drive down the cost of surveillance significantly, he said, groups of all sorts — both law enforcement agencies and commercial companies alike — will want to drop manned aircraft in exchange for drones in alarming numbers. But as the use of drones becomes more rampant, warned Prof. Calo, outdated legislation provides a lot to worry about the potentially dastardly implications. “I think the best way to address this issue is to drag our inadequate privacy doctrines into the twenty-first century,” he said. 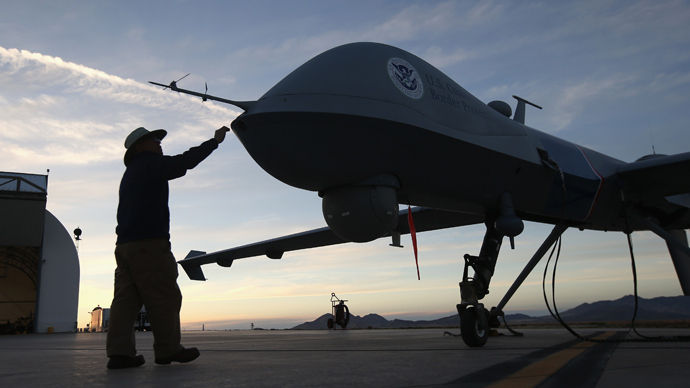 Amie Stepanovich, a director at the Electronic Privacy Information Center (EPIC) agreed that, privacy issues aside, “drones have tremendous positive uses in the US.” Before use can become as rampant as expected, though, she urged lawmakers to let restrictions limit what drones can do. 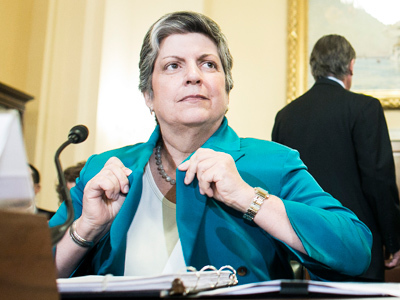 “Rules are necessary to ensure that fundamental standards for fairness, privacy and accountability are understood,” Stepanovich said. Association for Unmanned Vehicle Systems International President Michael Toscano countered those arguments, saying that while federal regulators will work towards new laws in time for drones to be integrated in US airspace by 2015, “robust legal framework already in place” helps govern the increasing number of drones being flown. Miller countered, though, by saying there was a “relatively low risk” of hazards during any of the dozens of drone missions flown by the Mesa County Sheriff’s Office. When asked about his thoughts on equipping domestic drones with lethal- or non-lethal weapons elsewhere during the hearing, however, he said sending UAVs into the sky still raised concerns no matter what. Weapons aside, though, EPIC’s Stepanovich said that privacy concerns are what is really at issue. “Drones are designed to carry” invasive technology, she said, and those tools will “definitely impact” individuals’ right to privacy. While Miller discussed how thermal censors and digital cameras mounted on drones can help with surveillance missions, Stepanovich suggested there is a very slippery slope in regards to how far law enforcement can use these tools. Later in the hearing, Stepanovich agreed that while drones are capable of doing tasks once impossible for a police officer, a lack of guidelines in place can soon allow for rampant abuse. “They are also designed, built and designed, to carry some of the most invasive surveillance technology that’s on the market today,” she warned. Sen. Al Franken (D-Minnesota) concluded the hearing by admitting, while yes, drones could become one of the biggest technological advances America has ever encountered, the potential blowback could be catastrophic. The negative aspect, he said, would mean, “No privacy whatsoever” for each and every American.